Get the Most out of Your Garage Space with Our Professionally Installed Wall Storage, Cabinets and Custom Shelving Systems! The garage is not just for cars anymore. 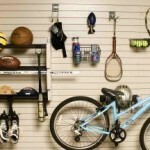 With the hustle and bustle of daily life and activities, most garages end up a catch all for clutter. Our garage storage and organization systems help eliminate the clutter and add functionality to your garage space! Whether you need basic shelving for long term storage or a complete garage storage system, we can help. 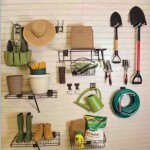 Our professional organizers will work with you to create the perfect garage organization plan. Our garage storage and organization systems are professionally installed and customized to suit your storage needs! The Birmingham Handyman can also handle any repairs your garage may need prior to your garage organization system installation. We are specialists in drywall repair, painting and trim. We can also help with broken glass in garage windows or doors and other garage repairs. Let The Birmingham Handyman help you create the perfect garage storage plan! Our systems give you the ability to truly organize and make the most out of your space. Reclaim your garage space with our professionally installed garage storage system! 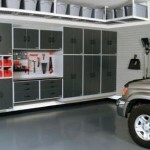 Our system offers a more practical approach to your garage storage needs and gives you the ability to truly organize! 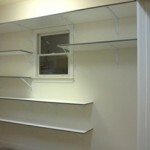 Easily modify or expand your configuration to accommodate changing storage needs.